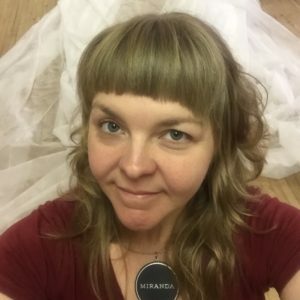 Miranda Bouchard is an artist, independent curator and arts manager. Her work and volunteer experience with many organizations, near and far – most recently, as Acting Artistic Director of Thinking Rock Community Arts – has given her a unique perspective and understanding of the arts and culture landscape, and informed a community focus in her work. Thinking Rock Community Arts is a nonprofit community arts organization based in Thessalon, Ontario that creates art with and for the people living along the North Shore of Lake Huron, from Spanish to Sault Ste. Marie and all points in between. Thinking Rock invites people of all ages, abilities and backgrounds to join in playing, making and dreaming about this special place we call home – as it was, as it is, and as it might be.